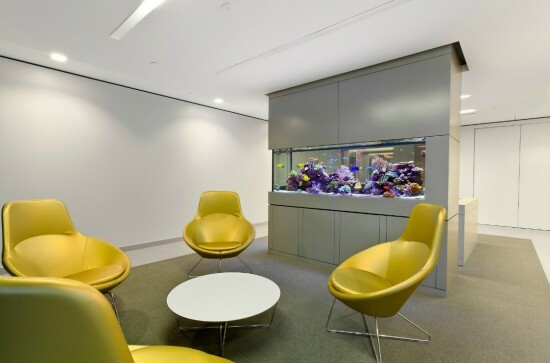 More and more people have recently started adding fish tanks to their offices. 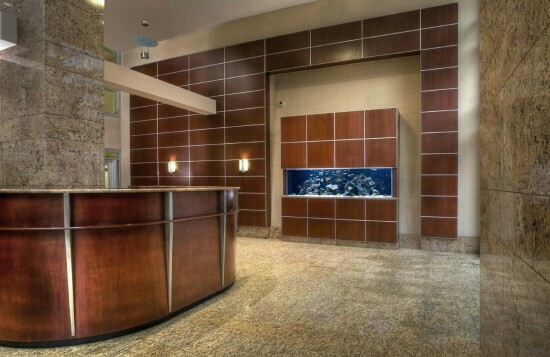 Be it in home or at a place of business a great looking fish tank can be a fantastic decorative tool. Not only that but having an aquarium in your place of business can be a great way to alleviate stress and increase your own or your employees production. Workplace stress can play a big role in productivity or even sick leave by your employees so you might want to consider making their work day as comfortable as possible. We already established that fish tanks can have a beneficial role to a persons health, including reducing stress and anxiety. It can even help with panic attacks! Having a fish tank in your office is beneficial to you, your employees and perhaps most importantly your customers or clients. 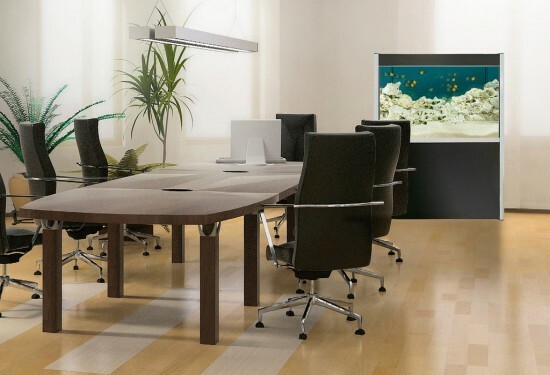 If you’re considering getting a fish tank for your office (or even a home office) then some of the images we collected below will surely give you a few great ideas. This is a dedicated African cichlids aquarium of 10ft tall and 3 ft tall. 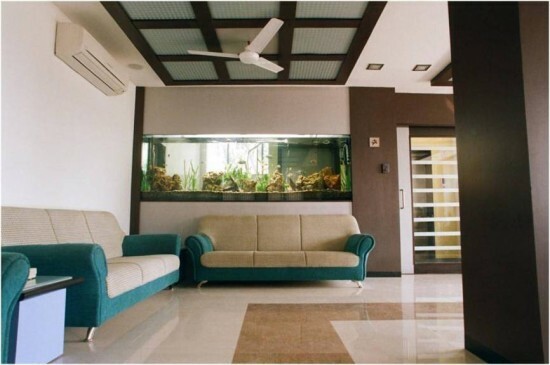 This is a high end planted aquarium installed at the of office of CMD of Arvind Mills Ltd.
A fish tank can also serve as an important divider at the office. Reef aquarium in a wall in Hudson View, New York. Aquarium designed and installed by www.okeanosgroup.com, photo courtesy of Okeanos Group. 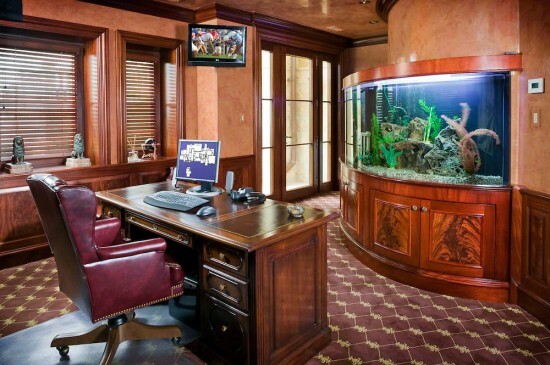 Beautiful wall aquarium in a classic wood home office. Aquarium designed and installed by www.okeanosgroup.com, photo courtesy of Okeanos Group. 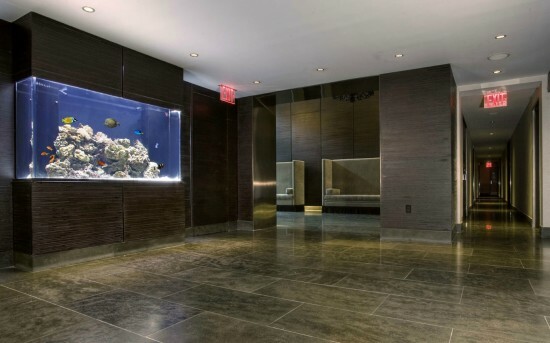 Large aquarium in a residential building in NYC. Aquarium designed and installed by www.okeanosgroup.com, photo courtesy of Okeanos Group. 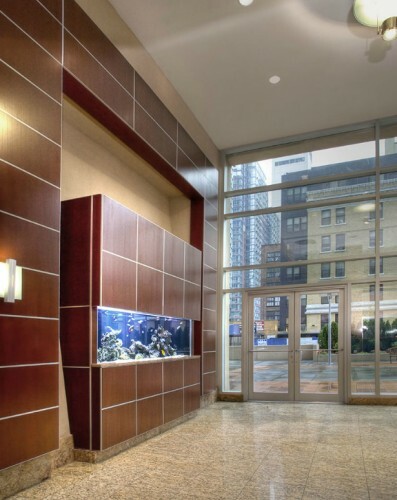 Fish tank in a lobby of a residential building in NYC. Aquarium designed and installed by www.okeanosgroup.com, photo courtesy of Okeanos Group. 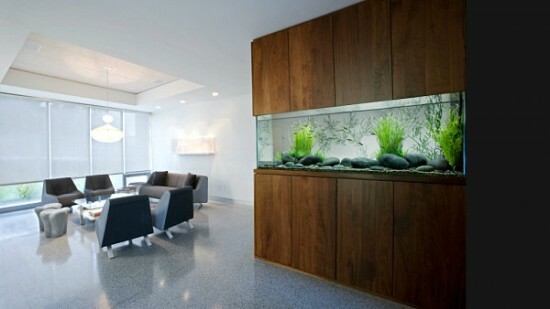 Wall aquarium in office waiting area. 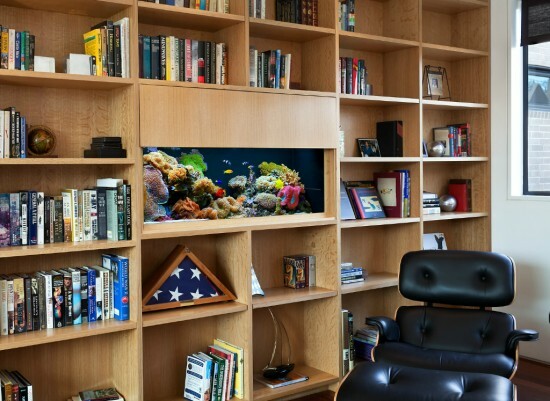 Aquarium in a book shelf in a home office. Larger fish tank in a clean office. 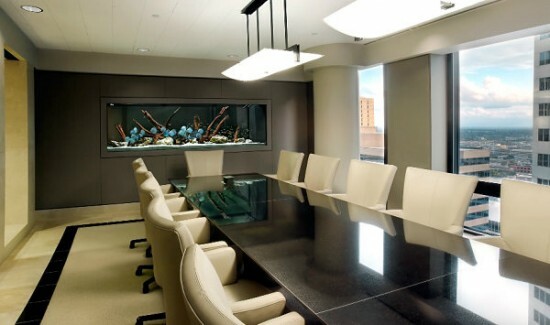 Aquarium in a conference room. 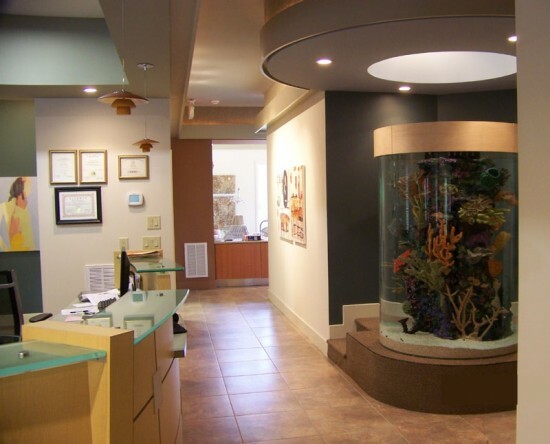 Large cylindrical aquarium in an orthodontic office. Fish tank for home office. 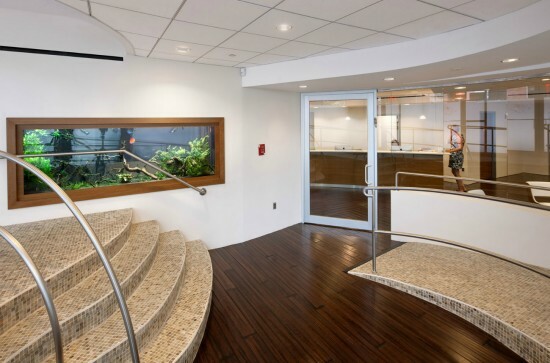 If you want to do a “test run” of an aquarium in your office you can even find a company that has fish tank rentals. It’s an inexpensive way to see how your employees and clients react to it without the hassle of purchasing a fish tank, choosing fish, and taking care of them. 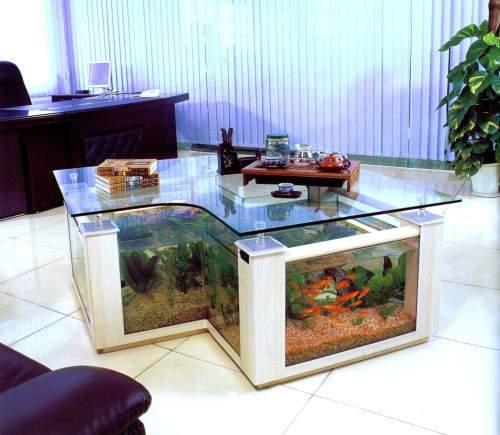 If you don’t know much about aquariums but still want to decorate your office with one that may be the easiest way. In conclusion having a fish tank in an office has many benefits and you should definitely consider having one. 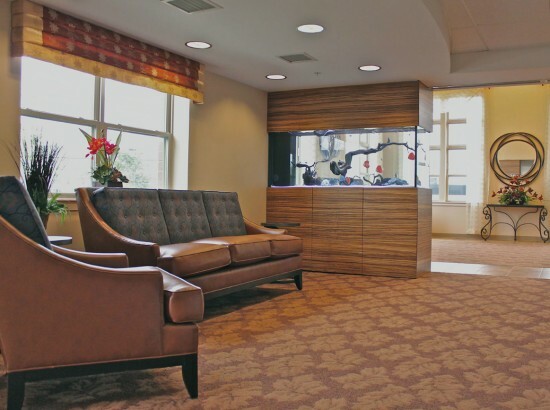 It creates a more relaxed and less stressful environment, helps your clients feel more at home, and it can even create a unique focal point to take their eyes and mind off of other things. 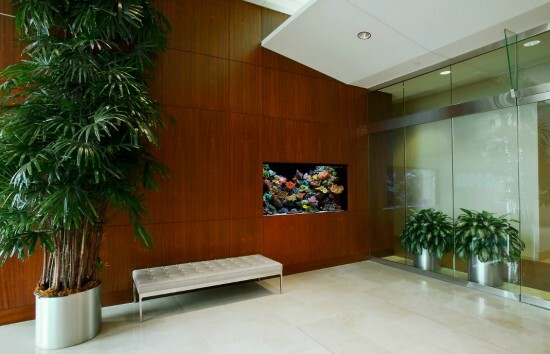 Hopefully our selection of best office aquarium photos gave you a few ideas, so be sure to go ahead and get one. If you have any images of your own you’d like to submit to our gallery be sure to contact us or post a comment below! Some images where noted are provided and copyrighted by OkeanosGroup.com and used with permission. 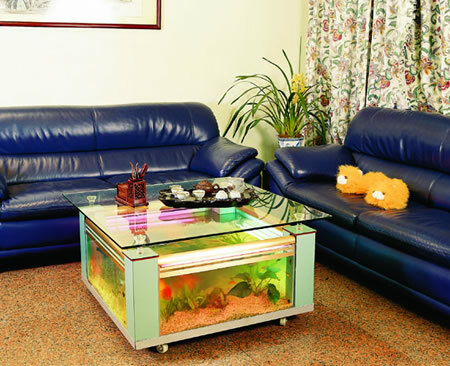 One of the most beautiful and eye-catching home decoration ideas is to have a coffee table fish tank in your living room. 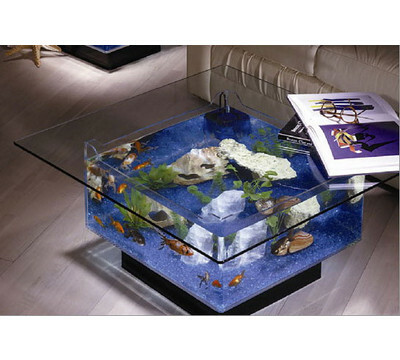 It’s becoming increasingly popular for people to use fish tanks as coffee tables to impress their guests and it works! 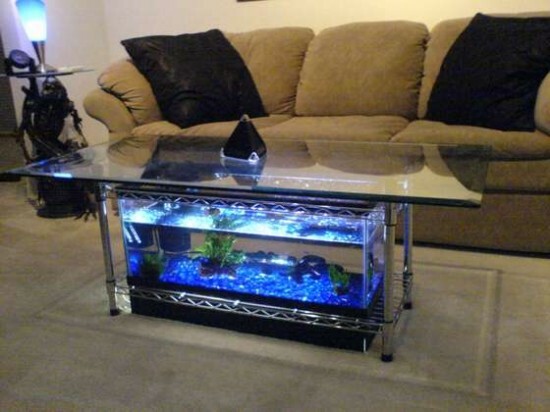 Most people are pleasantly surprised by this decorative item so if you want to bring in something special in your home a coffee table aquarium may be just what you need. 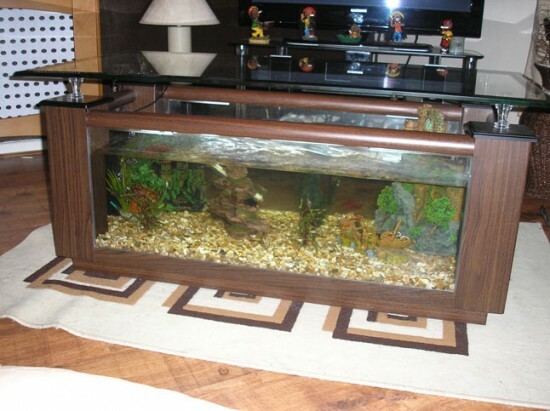 A good fish tank often makes space look bigger in your home, and a coffee table aquarium is no different. 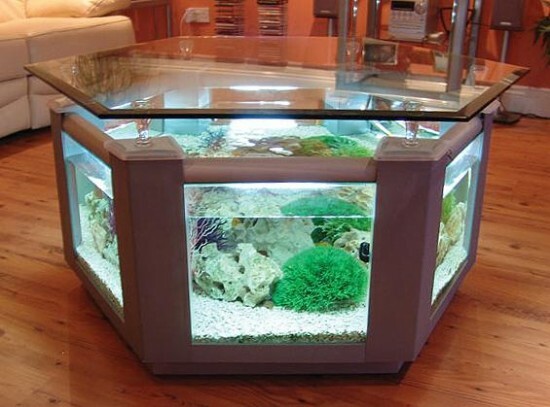 It does obviously require more care than an ordinary table since you will have to clean it and feed the fish. However it’s nothing compared to how amazing your house will look with one of these coffee tables. 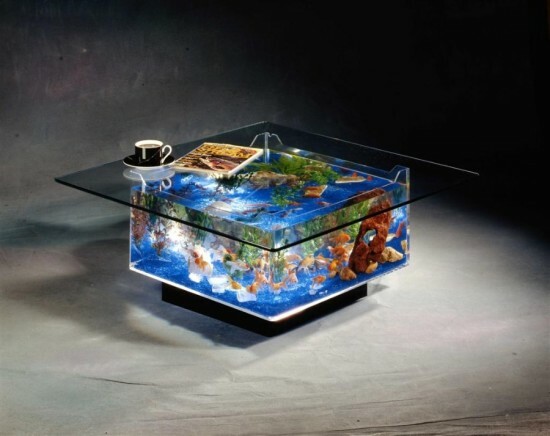 We have selected some of the best fish tank coffee tables below to give you a good idea on how it can look in your own house as well. Be sure to check out the entire photo gallery and tell us which one’s your favorite. You’re also more than welcome to contribute your own images in the gallery, just send us a message with your picture and we’ll add it below. 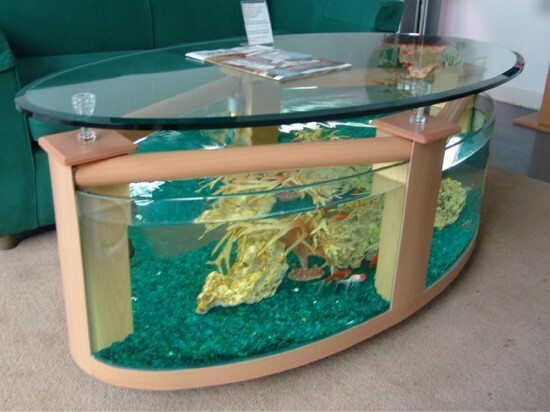 We hope these pictures have given you some idea on how your home can be even more impressive with a fish tank as a coffee table. 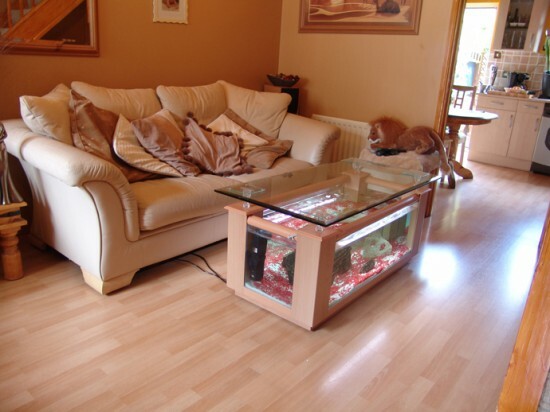 It’s a great place to bring guests to and relax watching your fish swim around. 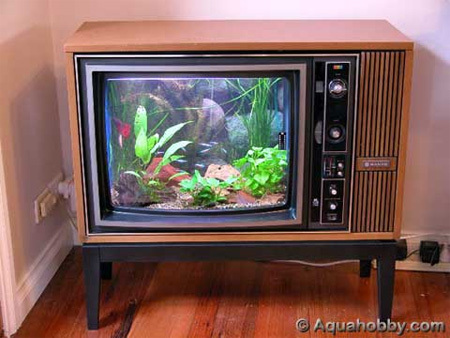 A great upside is that these aquariums don’t take up any unnecessary space in your living room: you’re going to have a coffee table anyway so why not make it an aquarium. 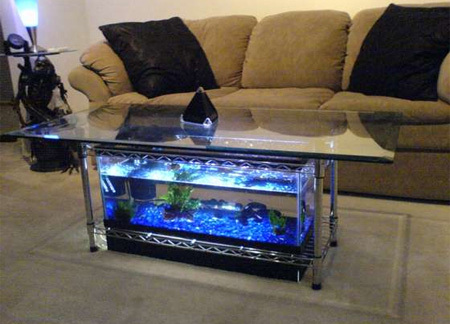 There’s plenty of different coffee table fish tanks on the market and you can choose your own style or size to make sure it fits perfectly in your home. While these aquariums are typically a bit more expensive than an average simple one they are in my opinion definitely worth it. 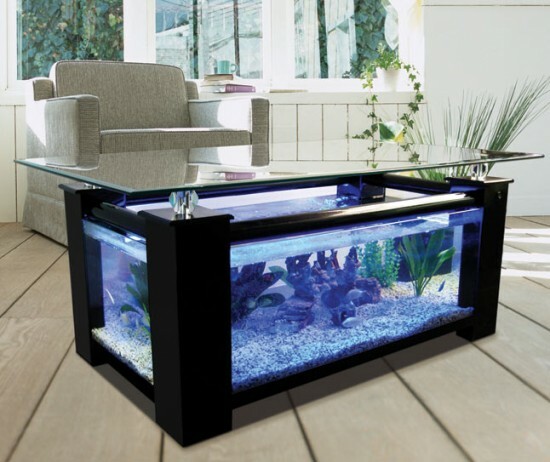 We also selected a few reasonably prices coffee table fish tanks below from Amazon so you don’t have to go around your town looking for one. 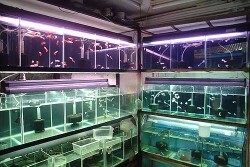 In most cases you’ll see the usual types of fish aquariums. 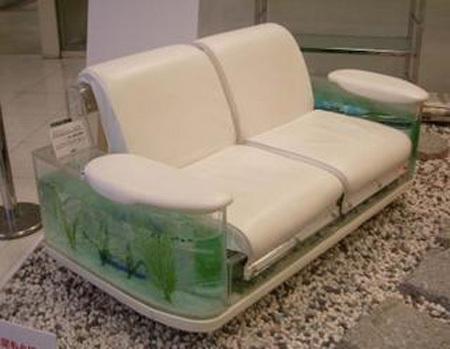 However every now and then someone goes extra creative and makes his own custom fish tank, and this article will show you a few inspirational ideas. Also known as the iPond. There’s actually a company in Australia that builds these. After a long day at work, what better way to relax than to sit in your comfy sofa. 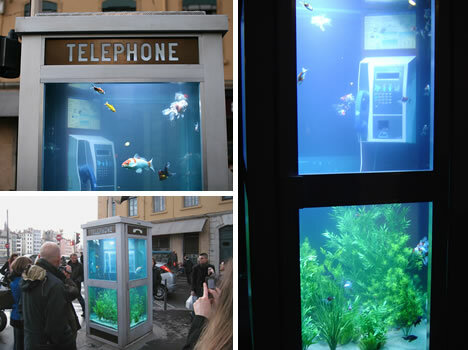 If you have any more amazing fish tanks or ideas be sure to post links in the comments below! 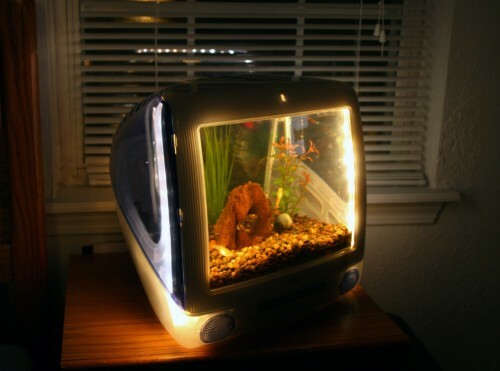 Fish tanks have changed a lot over the years. 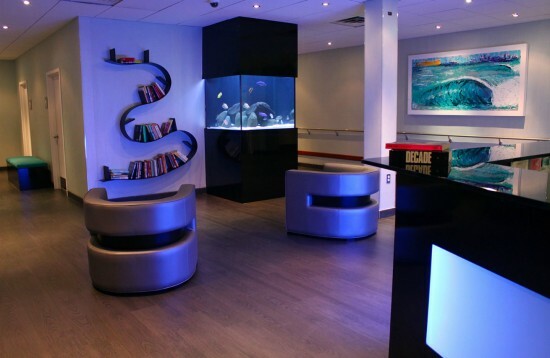 The development of modern plastics and acrylics have given people new options when it comes to home aquariums. 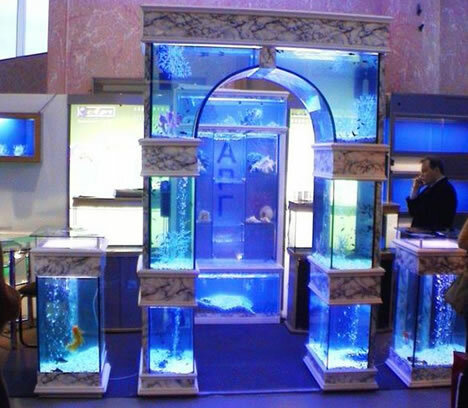 There are dozens of different styles and shapes of aquarium tanks and stands to fit any size space. 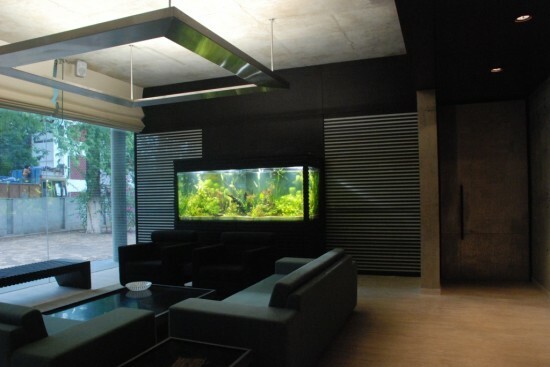 Choosing the right tank and stand for your home can be a big decision. Before you start to think about how big of a tank you want to get and what type of stand you want to have in your home you have to choose what type of material you want your tank to be made from. 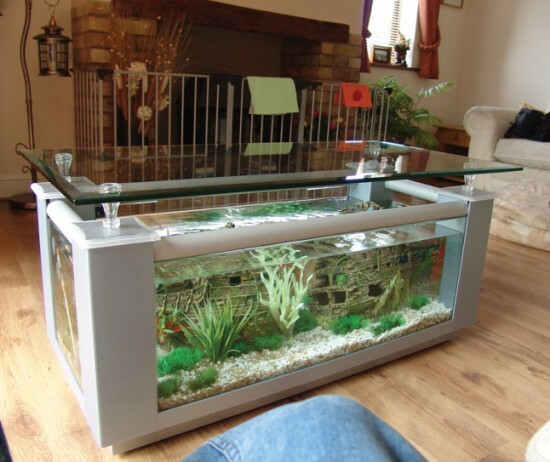 The most common materials for fish tanks are acrylic and glass. Each different type has positives and negatives that you should consider before making a final decision. 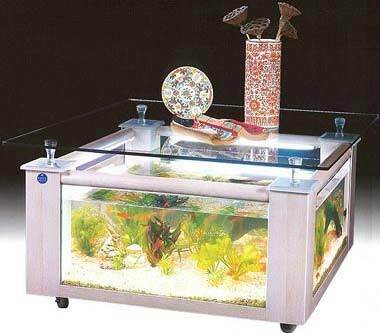 Acrylic tanks are usually much lighter than glass tanks. They can withstand more pressure and they usually come in interesting shapes and designs that glass tanks can’t match. If you want an aquarium to fit into a special space in your home an acrylic tank is probably going to be the best choice. Remember that you have to consider the weight of the tank when it’s filled as well as the weight when it is empty when you are considering what stand to buy for the tank. 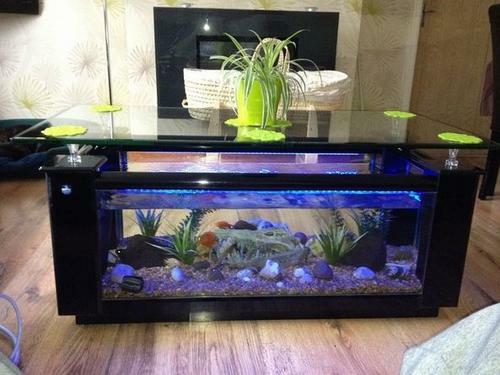 Because they are so much lighter many people prefer acrylic tanks. The view of the fish is clearer through an acrylic tank than it is through a glass tank because an acrylic tank doesn’t have the distortion that a glass tank has. 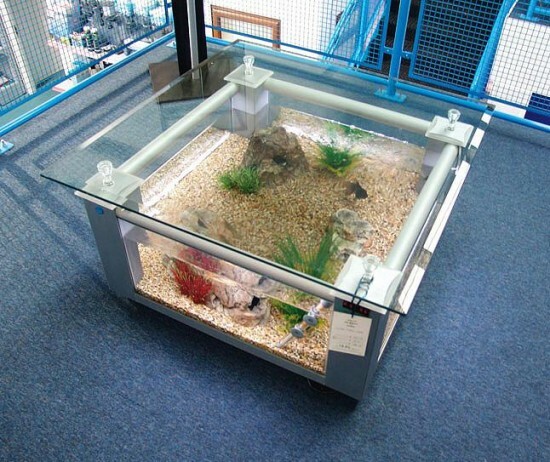 However, acrylic tanks are more expensive than glass tanks. While they don’t crack or break like glass tanks can they do because scratched during normal cleaning and with normal wear and tear, so that is something you will have to consider also. Glass fish tanks have a great classic look that some people prefer. Glass fish tanks are heavier than acrylic fish tanks but they don’t bend or break the way that acrylic fish tanks can over time. 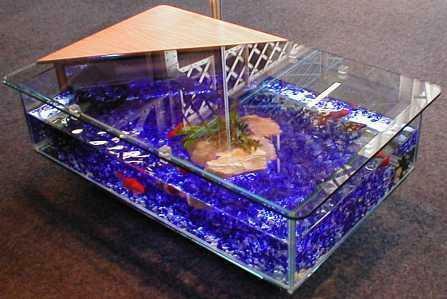 Glass fish tanks are also much less expensive than acrylic fish tanks. 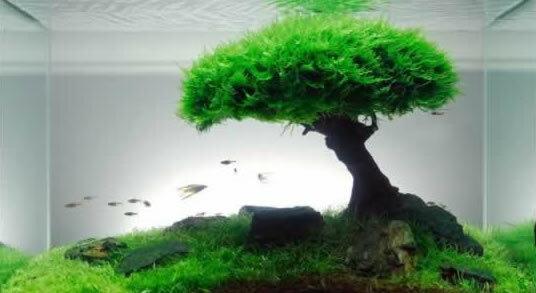 If you want to start a small home aquarium and you don’t want to invest a huge amount of money in a tank then a glass tank is probably the right choice for you. Glass tanks are easier to clean than acrylic tanks. 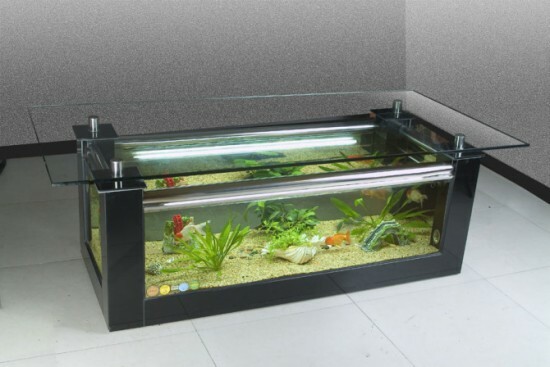 Glass tanks also will not scratch or cloud up the way that acrylic tanks can. 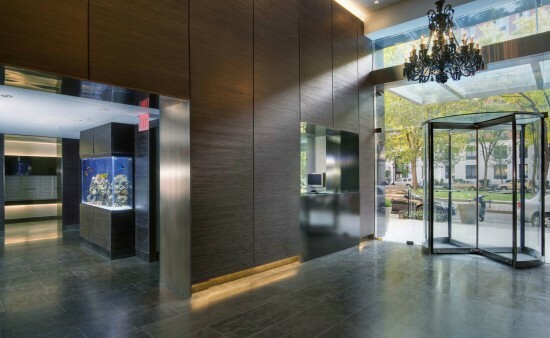 Glass tanks are susceptible to cracking and breaking, but the tempered glass doesn’t break without a lot of pressure. 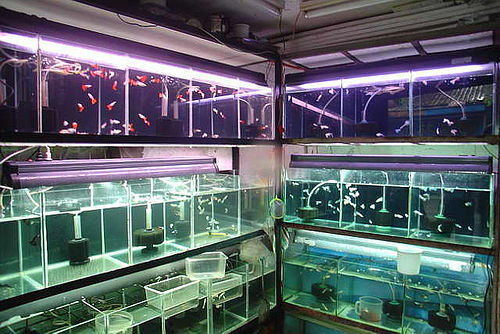 Glass tanks also maintain a constant temperature better than acrylic tanks. Ultimately the decision about which type of tank is the best for your home aquarium depends on your budget, your home setup, and your preference. Just make sure that you consider all the positives and negatives before deciding which type of fish tank you want to buy. 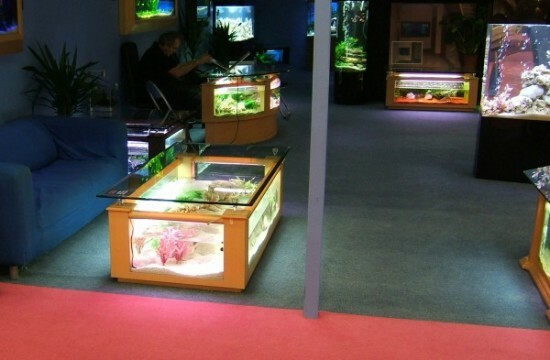 Then you can focus on choosing the right stand, accessories, and choosing the best fish for your tank. Much like dogs, cats, and other pets you may have in your house, your fish too can get sick with a number of diseases. Thankfully, there are a number of different treatments that can be used to take care of these sicknesses your pet can get infected with. Below is a list of common diseases and treatments that your fish may receive. Probably the most common disease a fish can be infected with is the Anchor Worm. The Anchor Worms are small crustaceans that burrow into the fish’s skin and enter the muscles. Shortly after they burrow, they lay their eggs, and die, thus starting the process over again, and causing damage to the fish. There are several ways to get rid of the crustaceans, the most common including actually physically cleaning the infected areas with iodine, or giving the fish a warm, seawater bath for five minutes a day until the parasite falls off. Common symptoms include scratching against objects, inflammation, and greenish threads protruding from the skin. Another common disease is body flukes, or flat worms. Symptoms for body flukes include a layer of mucus covering gills or body, reddened skin, drooping fins, and chewed on, or eaten away gills. Body flukes generally occur due to the poor environment they’re living in, but can occur when the fish is overcrowded, or if the fish is stressed. Flukes are also often present in aquariums usually, however can be controlled with ideal conditions. Body flukes can be treated with antibiotics, however it is generally suggested that Tetra Parasite Guard with praziquantel is used fist, and carefully administered. Another type of fluke that can occur is called a gill fluke, which features almost the same symptoms, but is located in the gills instead. 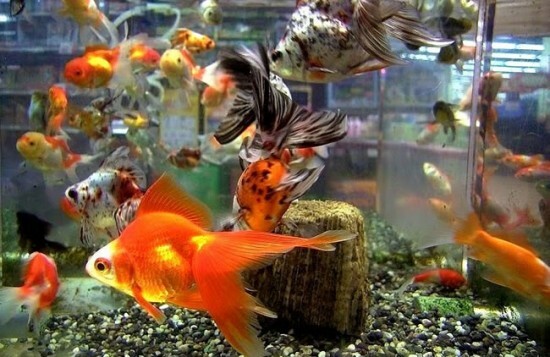 There are also other types of disease that can affect aquarium fish that are not worms, or crustaceans. These bacterial infections can cause diseases such as tail, fin, and mouth rot, as well as ragged tail fin. Generally, these infections occur to fish that are bullied, under stress, or who have been injured. Symptoms include the deterioration of infected areas, which is pretty noticeable. It can cause discoloration of scales or fraying of scales around the infected areas. To treat fish with this infection, the first thing that needs to be performed is a general water test, to test the health of the water. After this is done, there are a handful of multi-purpose antibiotic that should be used. Also, as an alternative, aquarium salt could be used as well. One typically deadly disease called Hemorrhagic Septicemia can also infect aquarium fish, causing a number of different, internal issues. Unfortunately, there is no cure for this disease, but it is said that be treated to reduce mortality by using general antibiotics. Symptoms include hemorrhaging of internal organs, bulging eyes, open sores, red tint to the eyes, and abnormal behaviors. That being said, a lot of fish do not display any symptoms, unfortunately. With all this being said, there are a number of things you can do from home to take care of your sick fish. However, it is suggested that a local veterinary doctor is seen before any treatment is conducted, as they will be able to fine tune the treatment for your pet. Home aquariums have a lot of great benefits. They are beautiful, and they are great for people who want pets without the commitment of a cat or a dog. Studies have been done that prove watching fish swim can help reduce stress and promote relaxation and restful sleep. Putting an aquarium in the bedroom is a wonderful way to get better sleep. A tropical aquarium in the living room is a great conversation piece and a fun way to keep dogs and cats entertained while you are out of the house. Just make sure the aquarium is secure so that cats can’t actually get to the fish. The first decision you need to make when you set up a home aquarium is whether you are going to set up a freshwater or saltwater aquarium. 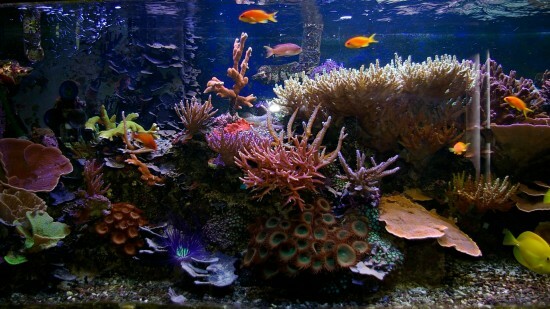 Saltwater tanks can be very spectacular filled with bright colored exotic fish and plants. However they are also expensive and difficult to maintain. Keeping a saltwater tank healthy and running properly is a big commitment. 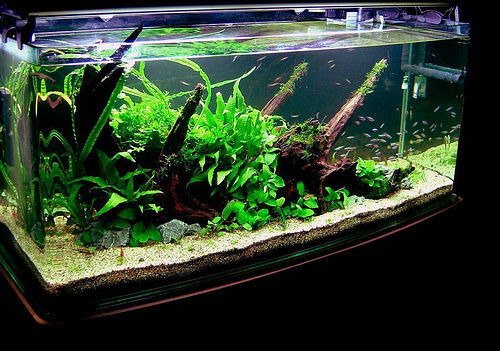 A freshwater tank requires less of a financial investment and it’s a bit easier to get a tank established. Most beginners start with a freshwater tank. If you choose a freshwater tank you don’t need a lot of supplies to get started. You need the tank, a heater, some plants, a light, some gravel and of course the fish. 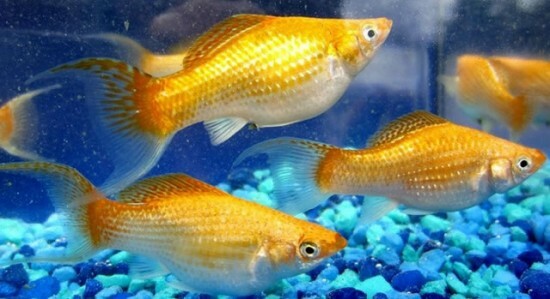 Goldfish are inexpensive, pretty, and adapt well to life in a tank. If you want to start out your tank with an easy to take care of fish you can’t go wrong with goldfish. Goldfish can grow to be quite large, so plan accordingly when you are figuring out how many fish you want to add to your tank. Goldfish are also messy eaters, so adding a tank cleaning fish to the mix is a good idea. There are many different kinds of Tetra fish, many of them brightly colored and fun. They are inexpensive and they are great with other fish. Tetra fish don’t grow to be very large and they are easy to maintain. Tetra fish are great to put in your tank if you want to mix a lot of different colors of fish together without worrying about them getting along. Tetras are hardy and adapt well to many different situations. Tetra fish will require at least a 15 gallon aquarium, along with a filter, heater and preferably various decorations and plants. Molly fish are also a good choice for a home tank. They come in several colors and add a nice color balance to a tropical tank. 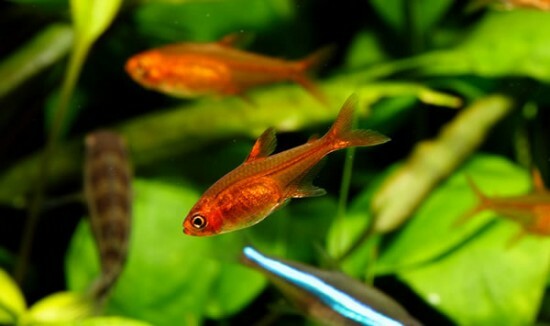 They are a little larger than Tetras and a bit more expensive but live for a long time. If you want a tank that has a nice balance of different sizes and species of fish in it adding a few Mollys into the mix of other fish is a smart choice to help balance out the tank. We hope you found this article a bit helpful. Remember these are only the three most common fish types people have in their home fish tanks, but there are many more species you could consider, each with their pros and cons. How big is the fish going to get? Sure the fish is adorable now when it’s tiny and swimming in a big tank with a lot of other fish. But when that fish grows how big it will grow up to be? 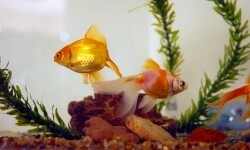 Goldfish, which are one of the most popular fish for home aquariums, can grow to be very large. Mollys, another popular type of fish, are usually medium to large sized when they are older. Tetras, which are the most popular type of fish for a home aquarium, tend to stay pretty small. Factor into your decision how many fish your tank can comfortably support so you don’t end up putting too many fish in the tank. Plan to have one or two large fish, two or three medium fish, and several smaller fish in the tank if you want to have a balanced tank. Most species of tropical fish eat other fish, so the risk of one fish eating another is one that you will always face when you set up a fish tank. But some species of tropical fish are more aggressive than others. You need to be sure that you don’t put a super aggressive fish in with less dominant fish or your tank will be chaos and eventually empty because the aggressive fish will kill all the others. There are many different types of Tetras and they are not aggressive. Tetras are great fish to add to a tank if you want to have a lot of different colors of fish that can live harmoniously together. What temperature water does the fish need? Some fish require water that is a high Ph and some fish require water that has a lower Ph. Mixing the two types of fish will result in an unbalanced tank and unhealthy fish. You will need to be sure that the types of fish you choose will be able to live in the same conditions. Choosing the best fish for a home aquarium requires a little forethought and planning. There are some aforementioned fish types which are very common for home aquariums, but you should also consider other factors such as whether you have kids or how often you want to perform aquarium maintenance. But if you spend some time thinking about what fish will be able to live together happily in your home aquarium you can create a beautiful tank that is peaceful and full of healthy fish. Regular maintenance on your aquarium is a large part of ensuring your fish are living healthy. More often than not, people who purchase fish and keep an aquarium overlook regular maintenance, and their fish may in turn face consequences ranging from stress, disease and even death. Unlike outdoor water systems, aquariums are closed, which means nothing is being added constantly, and toxins are not being filtered out as quickly as they should, even if you do use a water filter. Fish tanks are truly a breeding ground for disease and bacteria, as it is a much smaller system, due to food decay, fish waste, and other potentially harmful byproducts. Think of it like your own room; if you don’t clean it frequently, bugs can start to flourish, mice could start to move in, and it’s all downhill from there. Thankfully, maintenance of the aquarium isn’t a back breaking task to perform. Daily and easy tasks that should be performed are visual checks of the tank and equipment, to ensure there are no leaks, the filter is running at full speed, and to make sure that the temperature is adequate for your fish. Bi-weekly and weekly requirements is to maintain the water in the tank. It is suggested that the water is partially changed weekly, as this slows down the growth of bacteria and algae. 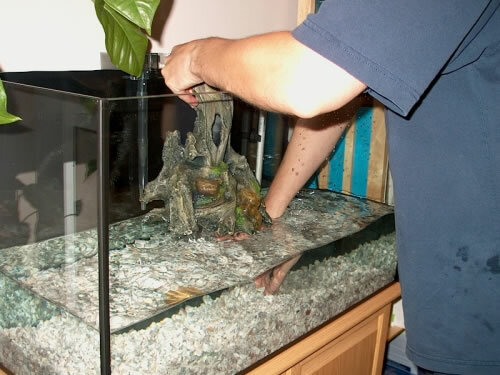 The tank is to be wiped down on the outside surfaces with an aquarium safe cleanser, or just use a damp cloth. From there, all the plants that are inside the tank should be gently shook to dislodge debris, food and other things. After that, another partial water change is in order. Between these steps, a break for around ten or fifteen minutes should be taken, so that everything can settle. Monthly checks should also be in order to check levels of different parameters such as pH, ammonia, nitrite, and nitrate. If there is an algae problem in the aquarium, perform water tests to check other levels, such as phosphates, to find the root of the problem. Also, as far as testing goes, the filters should be cleaned, light bulbs should be replaced, air pumps should be inspected, and if live plants are used they should be fertilized. 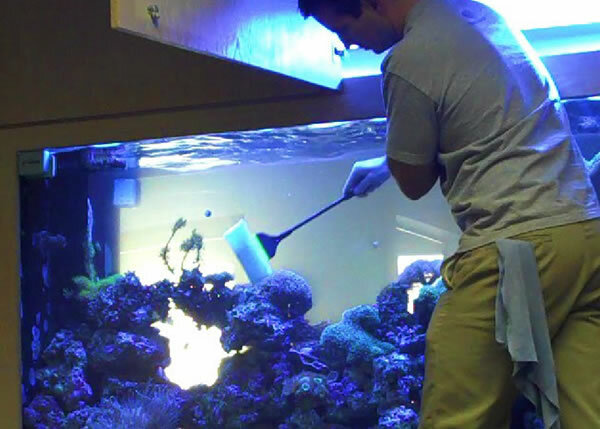 It is recommended that specialized tools are purchased to ensure the process goes smoothly, and that contaminants are not put back into the aquarium. Now, these are not necessary, but it makes it a lot easier and cleaner. One bucket should be used for the cleaning process, a few brushes, a siphon, aquarium-safe cleaner, replacement filters and replacement bulbs should be in the arsenal while tackling the task. In conclusion, if the health of your fish is important, not only should the pets be cared for by proper nutrition, but it should have a clean place to live, as well. It is not healthy to live in a dirty environment; and it is not fair for your beloved pets either. Routine maintenance of your pet’s habitat doesn’t necessarily have to be a chore, and once you get used to doing it regularly you might even find it enjoyable. It can even be a nice hobby to take your mind off of daily things and stress, and your fish will thank you for it. When it comes to kids we always do our best to make them happy. That definitely includes pets and finding a child who never asked for a puppy, a rabbit or a goldfish would be a futile effort. 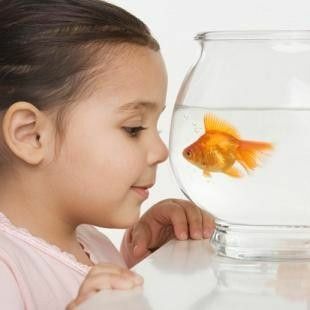 There’s a variety of pets which are suitable for children but fish are definitely one of the best, if not the best one. It requires very little care and maintenance and as such may be the perfect house pet for your kids. We already talked a about the benefits of having aquariums in your home, and buying and taking care of fish doesn’t need to be a chore. 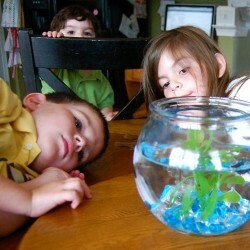 If you can’t say no to your kids when they ask if they can have their own goldfish, don’t sweat about it too much. Chances are your children will grow bored of any pet in a fairly short amount of time but even if they do and you end up having to take care of the fish all by yourself it’s not a significant time investment. Teach your children how to feed the fish and take care of them. Having a fish tank for your kids can also have the added benefit of teaching them to take care of their responsibilities at very early age. 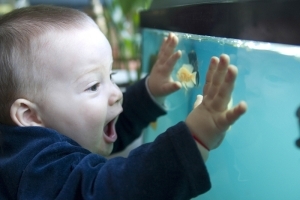 Make sure that if you do buy an aquarium for your children that they are the ones primarily taking care of them. It certainly doesn’t mean you shouldn’t help your kids feed the fish or clean the fish tank, but ensure they are always present when you do it and show them the proper ways of taking care of the fish. If they become too lazy to do it themselves after awhile, you should at the very least encourage them to give you a hand. You will also need to teach your kids not to overfeed the fish, and to make sure they have clean water when required. The biggest issue with having a fish tank in your house along with kids is if they get too playful at times. You need to ensure fish are in a safe place and that the tank can’t simply fall off if hit by a ball or some similar toy. Having a very small fish tank may be enough living space for one or two goldfish, but if you can make the room it’s suggested that you purchase a decently sized aquarium, or at the very least put it out of harms way and make sure it’s stable. The amount of food required to feed fish is insignificant compared to having a dog or a cat so being inexpensive is yet another upside. Actually buying the fish tank is the only notable investment you’ll have to make and they are usually even cheaper than purchasing a dog house or litterbox sand every week. 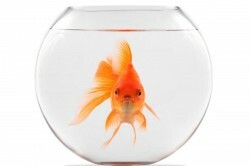 Goldfish are one of the fish that requires the least care and maintenance. 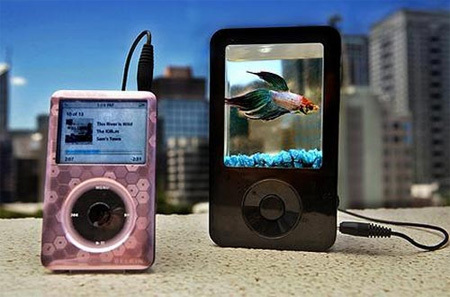 As for specific fish you should get, goldfish are certainly the most popular choice for children. They are some of the cheapest fish you can get that are also very convenient for any kind of environment, and best of all they are easily replaceable. When dealing with kids of very young age you may not yet want to have “that” conversation, so the simplest solution sometimes is to just purchase a new fish and they probably won’t even notice the difference. Hopefully it won’t come to that, but it may save you from some unnecessary frustration later on. 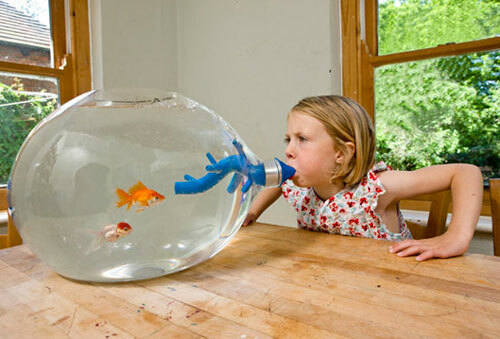 "Blowing" fish tank is one of many cool aquariums your kids might like. Overall fish are low-maintenance pets not just suited for kids, but also for adults. It’s one of rare pets that doesn’t require cleaning your carpets or taking them for walks several times a day, so when your kids asks for a pet a fish should definitely be on the top of your list. 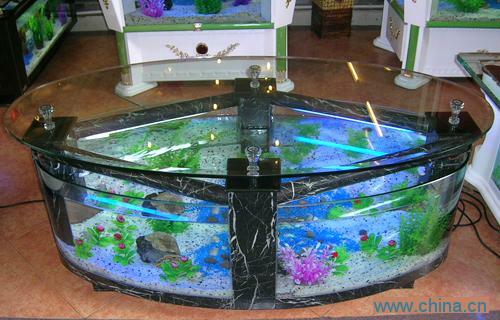 Fish tank is one of the decorative item which can be used in home as well as in offices. 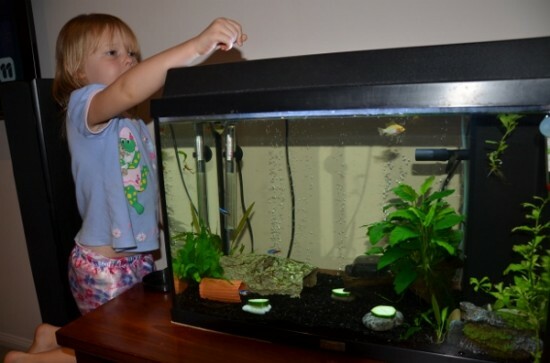 Keeping fish is one of the hobbies for many individuals especially for children. 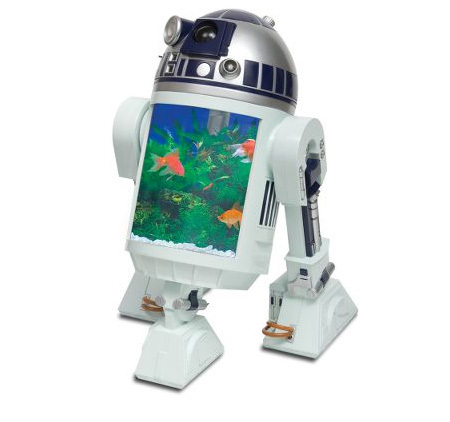 Before stepping in to this hobby, it is better to get ready with suitable fish tank for home. Glass fish tank is almost attractive and also it is mostly used fish tank which reflects the varieties of colors for each fish. Glass fish tank is also used to identify the type of fish. 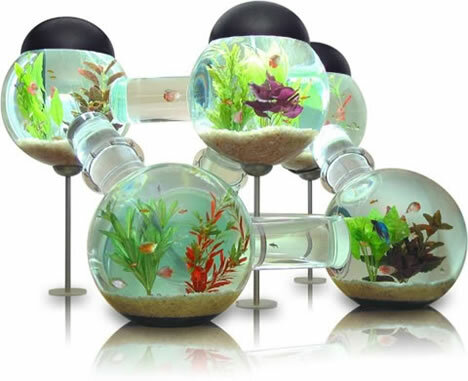 The fish tanks come in various sizes, styles and shapes. Initially it is highly recommended to keep the aquarium in 10-20 gallon. The sunlight should not have direct reflected to the fish tank. Since it creates very high temperature to the tank and the same should control the evaporation of water. 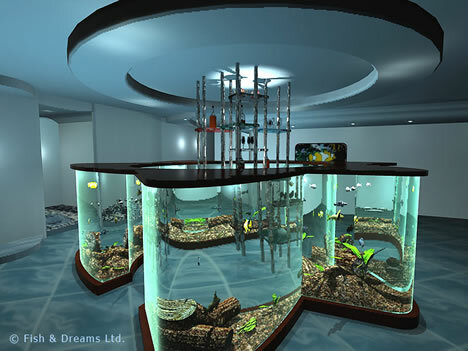 Most of the aquariums are made by glass as well as in acrylic. Taking a deep analysis for any cracks before purchasing a fish tank is almost essential to avoiding further problems. 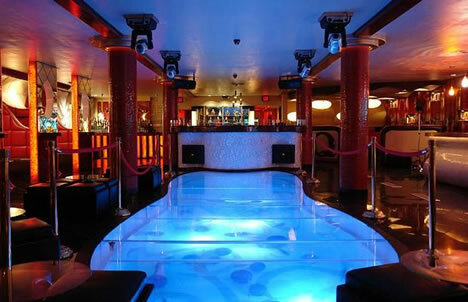 Decorations are one of the most essential things which reflects a standard look to the aquarium. If you decided to keep tropical fish, then it is every important to reflect the decorative item such as natural rock, type of gravel, driftwood, etc. Before installing the tank, it is highly recommended to have a glance of all instructions such as heater, filter, temperature, size, decoration, etc. Pure tap water should be used to fill up the aquarium. By comparing salt water and marine tank for beginners, the fresh water is highly recommended one. The water should be replaced in routine time in order to prevent harmful effect to the fishes. Numerous varieties of filter are available in the market in order to excrete the waste by fishes. Box filters are also one of the type which can be fitted inside the aquarium which requires the routine cleaning of tank. These box filters can also fitted outside the aquarium which is easy to clean. In case if you are deciding for tropical fish, you must choose the plants type whether it is a plastic or it is a natural one. For reflecting the decorations, the lamps play an important role in each and every decorative tank. The lamp size, shape and style should fit for the decorations. The lamps should not produce heat for fish. For this purpose, fluorescent lamp is always recommended one. In order to attract the aquarium, they should be cleaned very well minimum 2 to 3 times for every week. Routine changing of water would remove chemicals from water. There should be at least ten to twenty five percent of water should remains in the tank. They should not get empty. For every glass fish tank, there should be a thickness in its surface in order to safeguard the fish even it fells down. 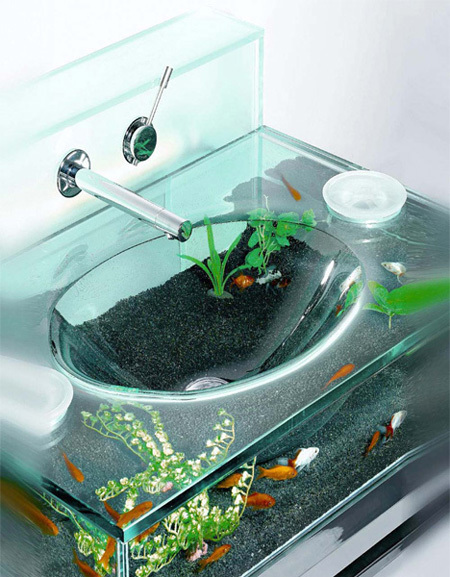 The fish tank varies for home use and for office purpose. Anyway they should reflect the attractiveness of their environment and their surroundings. Get the information from various sources before purchasing the glass fish tank in order to have a better understanding of them.